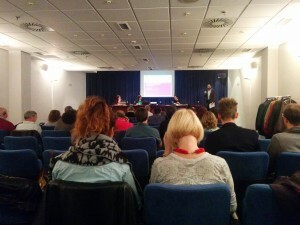 (21/10/2015) The final conference of the i-treasure LLP project has held in Derio (Spain). 40 people (Trainers / teachers / ICT stakeholders/ European partners from different institutions) attended the event and it was a good opportunity for introducing them the project, objectives, main outcomes and progress. They are potential stakeholders and it was a good opportunity to discuss about the project with European colleagues.